The best pizza I have eaten this side of the Atlantic is found at Pizzeria Luigi in San Diego. 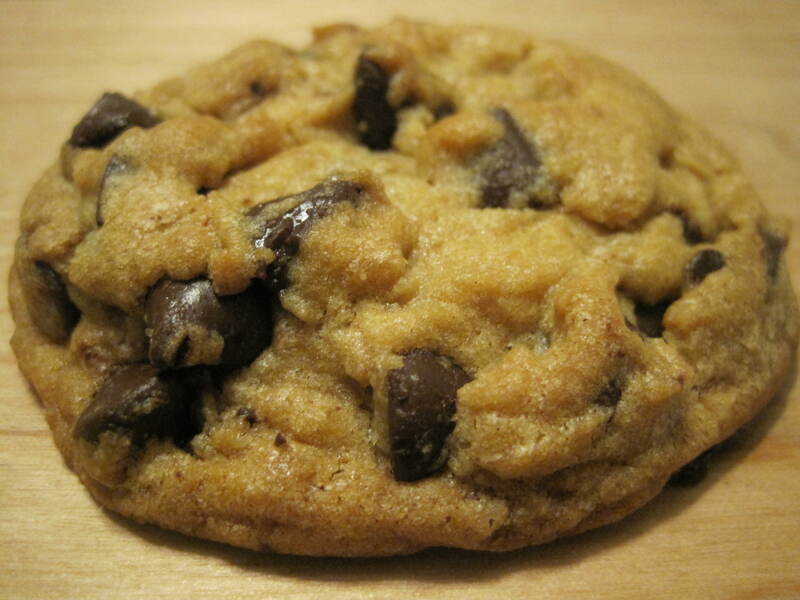 The crust is light, slightly chewy and thin. The toppings are plentiful but not heavy (no droopy awkward eating here). It’s not greasy. My favourite has always been the white pizza with ricotta and spinach. I sprinkle a whole packet of red chilli flakes for some added heat. It’s too far for home delivery. Sad face. 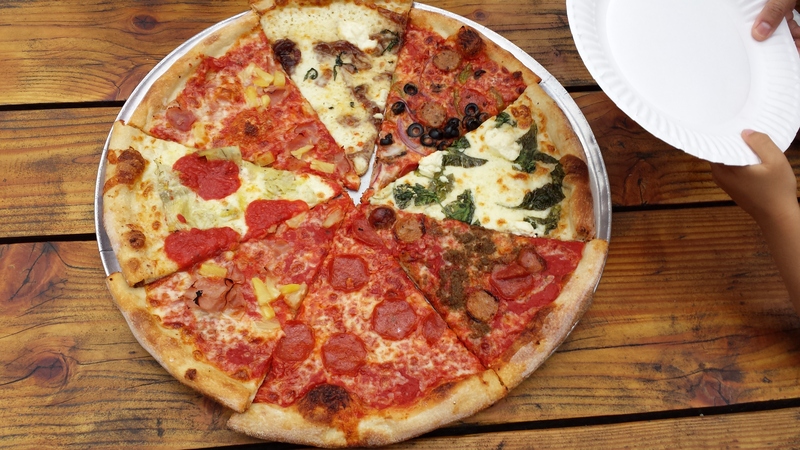 What’s your favourite place for pizza? 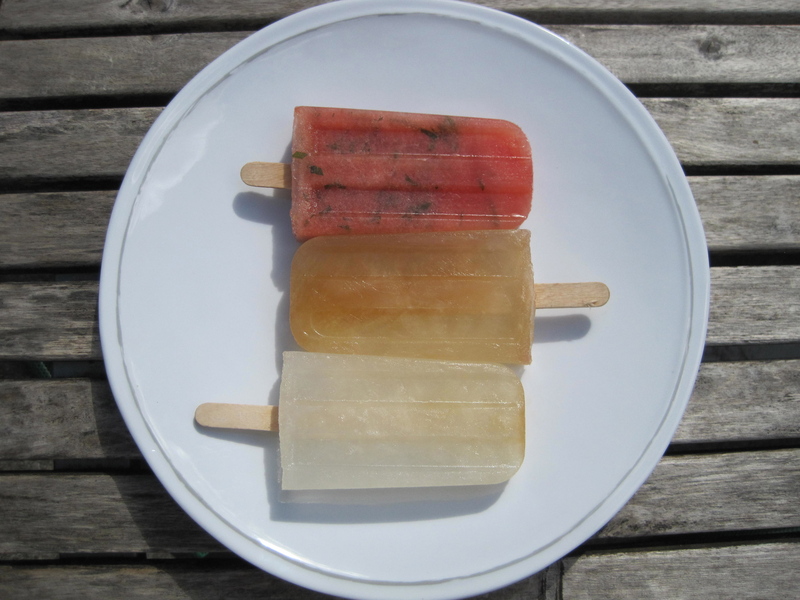 Hot summer days always inspire me to make some cooling elixirs in popsicle format. I had a popsicle mold shipped to my mom and dad’s place (hurrah free shipping in America!) and cracked it open when I arrived home to the heat. I have been experimenting with a variety of flavours and have been attempting to peddle them off on friends and family in order to make a new flavour batch. Three batches have been frozen so far with varying degrees of success and approval from samplers. 1. 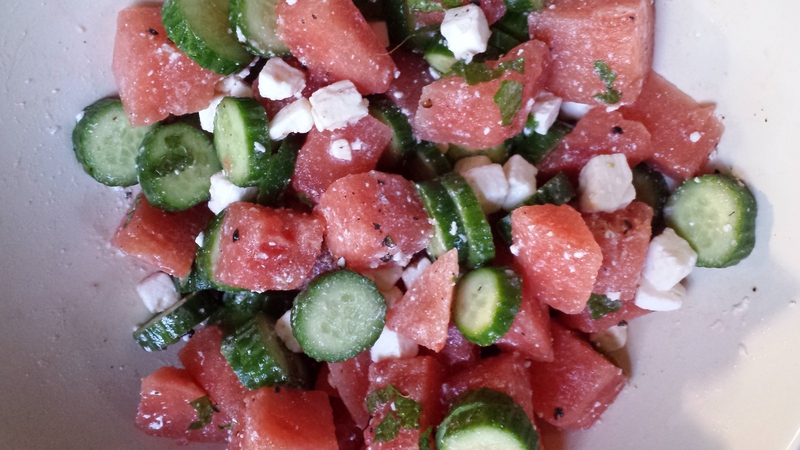 Watermelon Mint – Tasty but I should have followed the instructions regarding the mincing of the mint. As much a the strands of mint look quite pretty in frozen format, they don’t taste so great stuck to the sides of tongue and tucked in-between your teeth. 2. Arnold Palmer – Success! I used an English Afternoon Tea that was near expiry (Can tea really go bad?) and some organic lemonade I had in the fridge. I didn’t get the lovely separation between the two layers (as the tea is frozen first then topped with the lemonade after) as the two flavours look rather blurred together. 3. Lemonade – Nothing fancy here. Just some homemade lemonade because dear little Theo requested it. Going to plunge into another batch this weekend. I am thinking something with lime, something with yogurt and fruit, and possibly a lemonade laced with lavender. Check these out for some sane/insane inspiration! 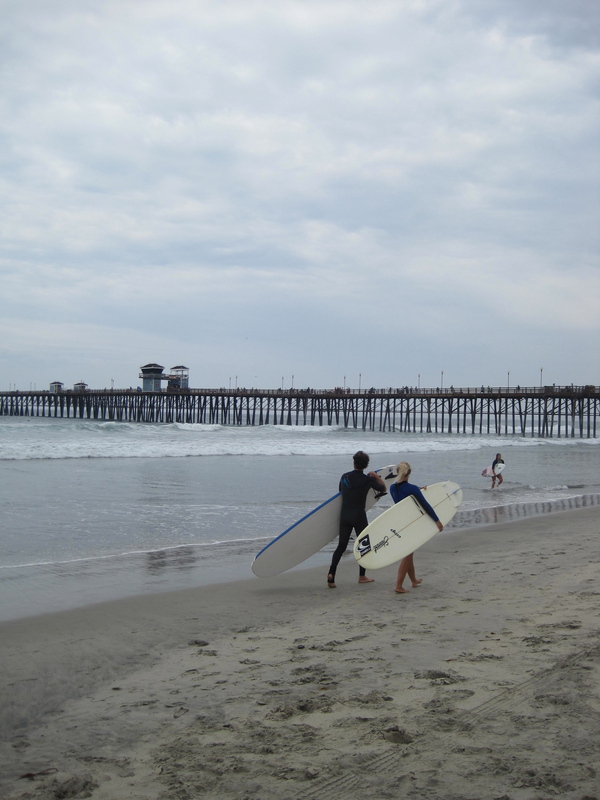 Some random photos from our beach days. We like our water. And no, that is not Graeme and I with surfboards. As if! 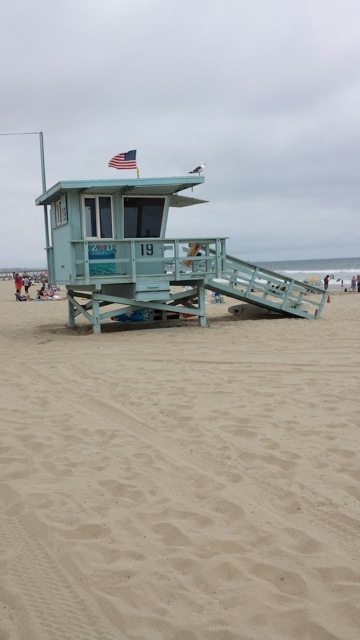 Every single time I see these lifeguard stations, I CANNOT help but hope that maybe David Hasselhoff will come bounding out to the theme of Baywatch. In slow motion of course. 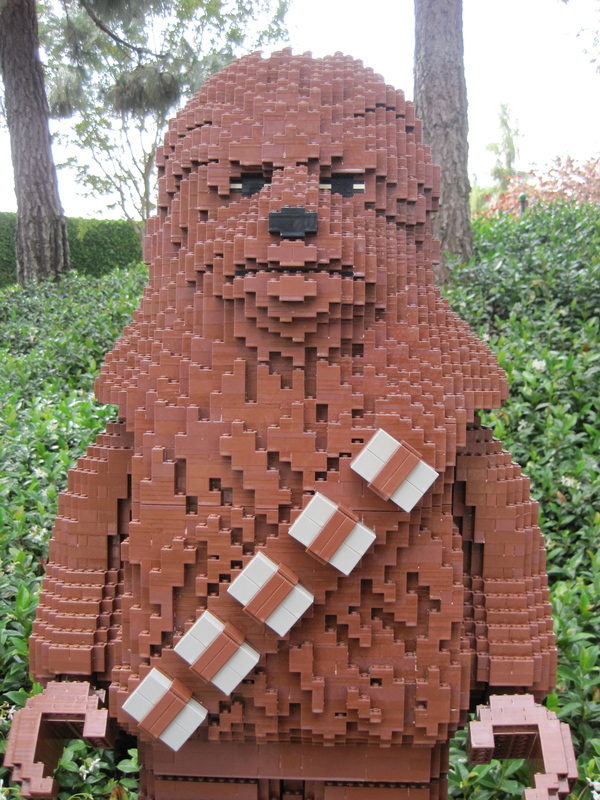 Chewy at Legoland. I could have devoted a full post to all the Legoland photos of Star Wars characters but I thought I better spare you. 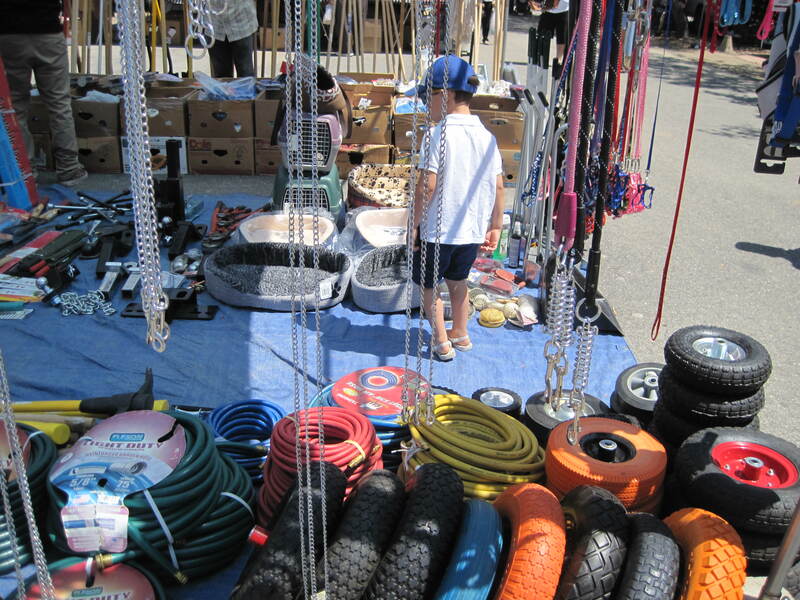 This was my first visit to a Swap Meet. 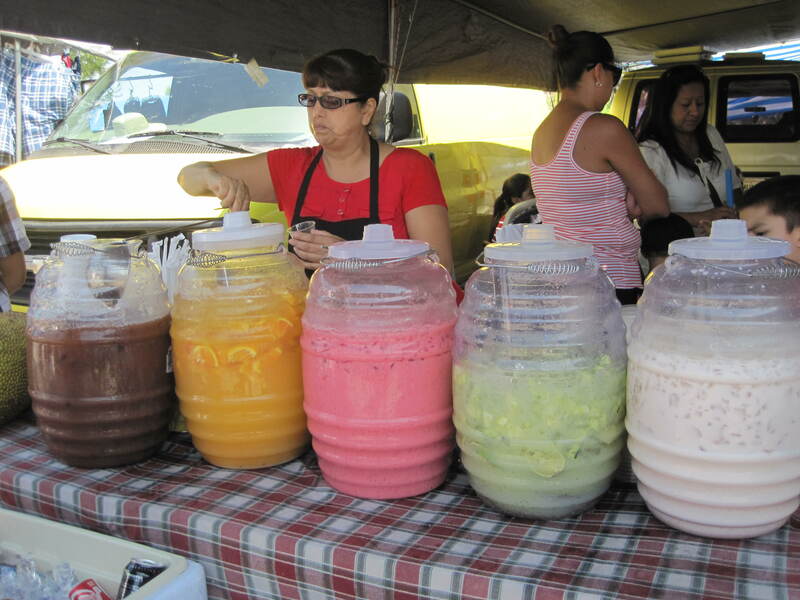 It was cool driving out into the hot desert and find a bustling little market place. 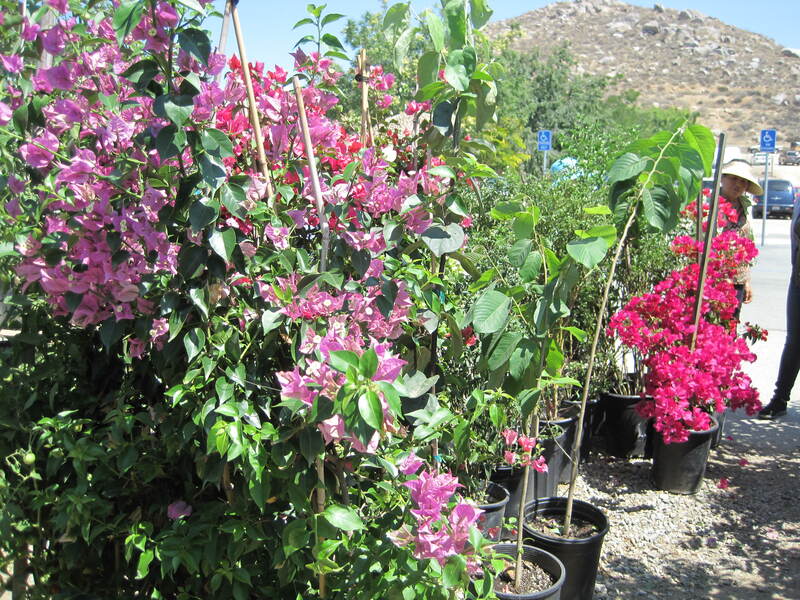 They sold everything from tomato plants (only a dollar a piece!) to hardware (Theo found it fascinating). While there, we saw everyone sipping on these drinks. I was curious. We ordered up the green one. Ingredients? Lemon, lime, cucumber, mint(?) and chia seeds. Refereshing! 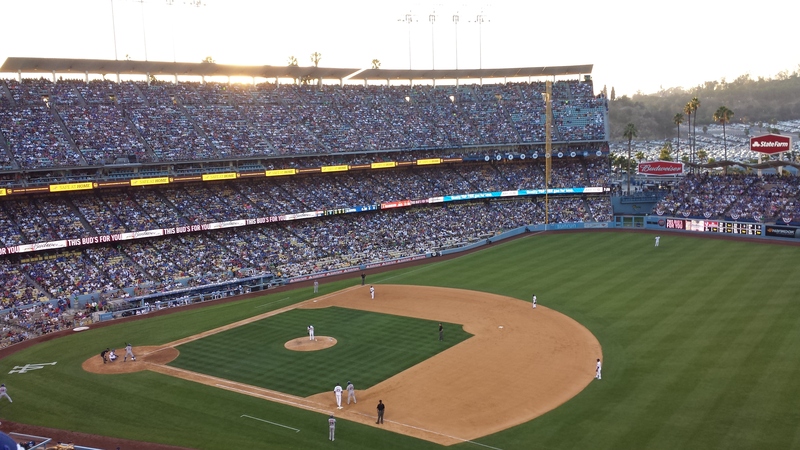 Fourth of July at a Dodgers vs Mets game followed by a massive fireworks extravaganza. 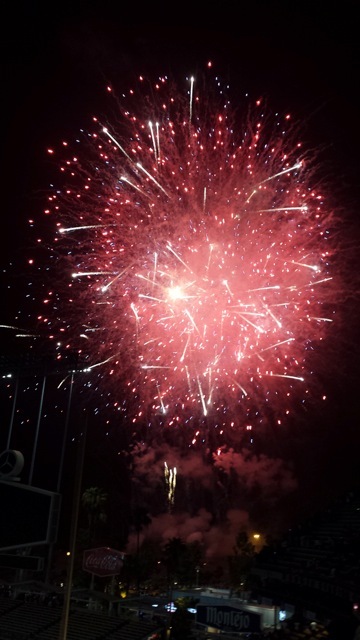 It is the grandest show I have seen in a long time, bar watching fireworks on Canada Day from a rowboat in Perth, ON and the Benson and Hedges’ Symphony of Fire down by Lake Ontario back in the ’90s. 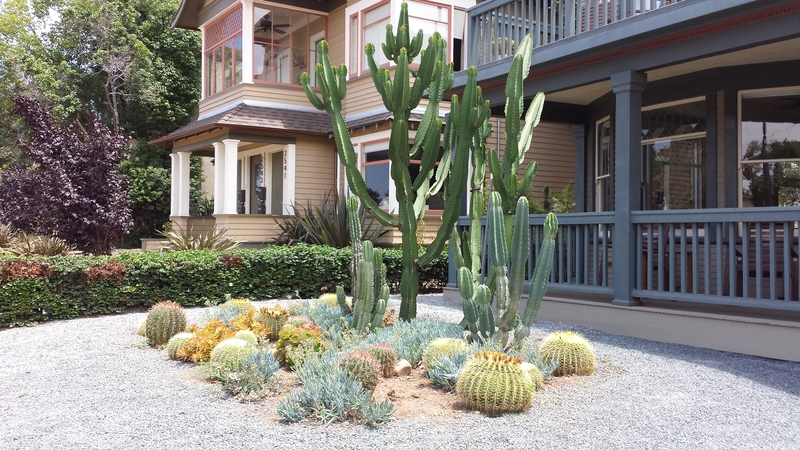 Lovely cactus front garden no? See you again California. You sure know how to show us a good time. If you spend any time in the kitchen preparing food, you may find yourself categorizing your strength and skill dans la cuisine, under the cooking or baking category (or for the lucky few, both). I am of the former. I love to throw dinner together, taking a survey of the fridge contents, using up whatever I find in there with a bit of this, a dollop of that, and a sprinkle of something to finish. I am not, by any means a baker. I liken the process to high school chem class. The exactness of the process feels too restraining and I am not fond of using measuring utensils. I like to measure in handfuls and pinches, work by sampling and tasting, adjusting and adding. Right? I know. It is everything I hoped it would be. Graeme ate three in one go. I, on the other hand, broke apart and savoured one 10 minutes off the cooling rack. I think this might be the one. I have to eat a few more later today and a few more tomorrow just to be sure. If I feel my mind drifting towards the cookie jar and craving them months from now, I may have to just deem this one the end of the road. I’ll have to let you know. 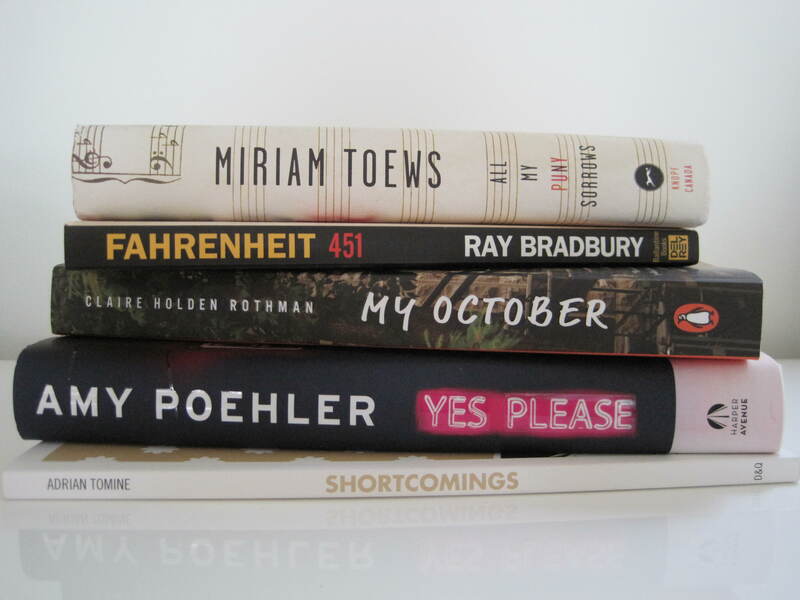 Here’s a stack of books that I’ve finished reading in the last few months. As you can see, it is an odd assortment! What can I say? I am a pursuer of variety! Of the pile, All My Puny Sorrows by Miriam Toews is my most recent read. And, oh my. I feel rather speechless thinking about the book and then, with a gulp, I am rushed with a mouthful of wonderful things to say about it. It’s full of heavy-heartedness, familial love, deep loss and humour. Have you read it? Can we talk about it and share all the parts that I dogeared so I can revisit them again? Such a strikingly humane read. In celebration of Miriam Toews’ talented writing, Dave Bidini (formally of the band The Rheostatics) created a series called, Torn from the Pages, where he seeks out to marry authors and musicians into a literary and musical event. Musicians create new songs based on a selected author’s work and this month is Toews’ turn. Sounds intriguing doesn’t it? What are you reading at the moment? Any recommendations? I am always looking to stock up my reading list! 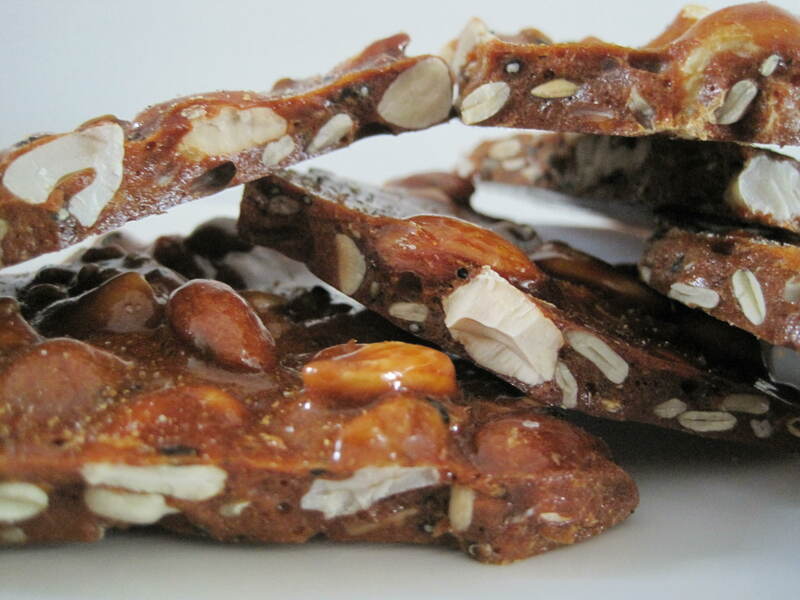 I made this nut brittle. It is sweet and salty, with a deep almost-burnt-caramel aftertaste (that may have been my lack of expertise here) and completely addictive. You snap a piece, munching, walking away and convince yourself, that’ll be your quota for the day. But, after a little time away from the tupperware container in the kitchen, you find yourself wandering back in for maybe a glass of water and … another piece. It was gone in much less time than I predicted. I had to make a definitive effort to share it with friends just so we wouldn’t eat it all by ourselves. Not that that would have been a bad thing. The recipe came from Michael Smith’s Family Meals. Trust me. It tastes as good as it looks. 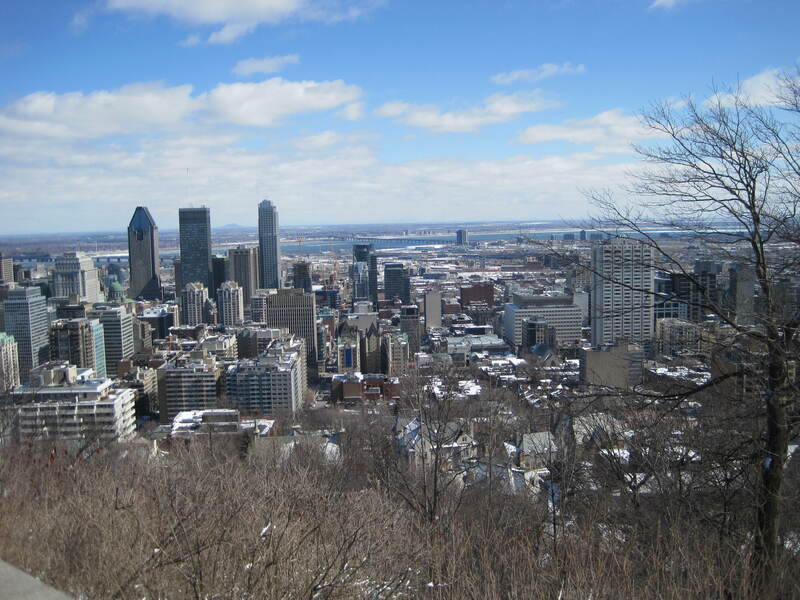 This past Easter weekend, Graeme and our little boy headed out on a road trip to Montréal. It’s a tradition that we’re hoping to re-start (after a brief hiatus when le bébé was born). We figured with our now three and half year old, he’d be able to handle the long car ride out. We guessed correctly. Thankfully, everyone survived the trip there and back and we were so relieved that the better part of the journey was spent with a sleeping pre-schooler. Planning our trip was much different this time around. In the past, Graeme and I just headed out whenever, arrived whenever, did whatever. 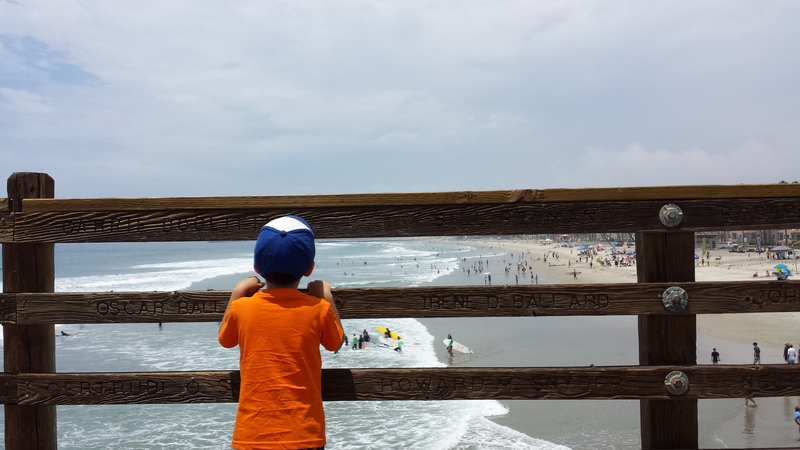 But with our active and “spirited” boy, we knew that we had to go with a plan and a strategy on how to spend our time there. I am a planner by all means but never have I gone on a trip with a typed, printed and detailed agenda stacked with places to visit, things to see and places to eat. The agenda was annotated with addresses, detailed maps which outlined the proximity of each place to the other, and hours of operation, which was important. It was Easter weekend after all where full out closures would not be unusual. What a great trip! There were some stressful, “I don’t … know exactly… where the place is on this street”, car rides. I mean, it’s difficult to find something while caught up in zippy city traffic, and not being familiar with all the one ways. That, and having to remind ourselves that THERE IS NO TURNING RIGHT ON A RED LIGHT. But, our slightly less than 48 hours, was packed with a balance of eating, outdoor time, sight seeing, French speaking and a sprinkle of shopping time. Oh, and navigating solid ice covered sidewalks. Spring has not sprung yet in Montréal. We woke up to 5 cm of snow on the Saturday. Wha!?!? Au revoir Montréal! Until next Easter, à bientôt! It’s winter here in Toronto. Real winter. The time of year when cold blasts get your shoulders scrunched up by your ears and you drag melty snow and gravelly salt into your front foyer at the end of the day. It’s that time when your hands are flaky dry from over washing because everyone is coughing up a lung or wiping their noses with tired tissues. It’s when the sun kissed colour you earned from sunny summer days are but a faded memory. We’re at that point in winter. 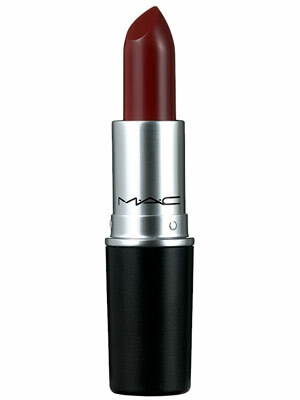 Dubonnet by MAC I have had this one since … I can’t even remember. It’s been years. To the point that it’s drying out. But, there’s still a good inch left and the colour packs punch. Red with a blue undertone. I hope I don’t get poisoned from it’s overdueness. 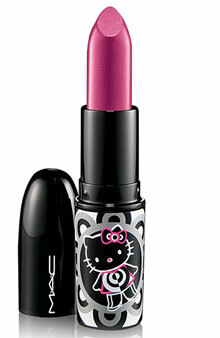 Big Bow (limited edition Hello Kitty) by MAC I have to admit that the fact that MAC packaged this lipstick in Hello Kitty was a big factor for purchasing it. I don’t own any other Hello Kitty doodads outside of some cute pens and notepads (I am not that kind of fan … just sheer childhood nostalgia) but there was something fabulous about this deep pink hue that would have made Jem of the Halograms proud. I bought it years ago but only cracked it open last year. 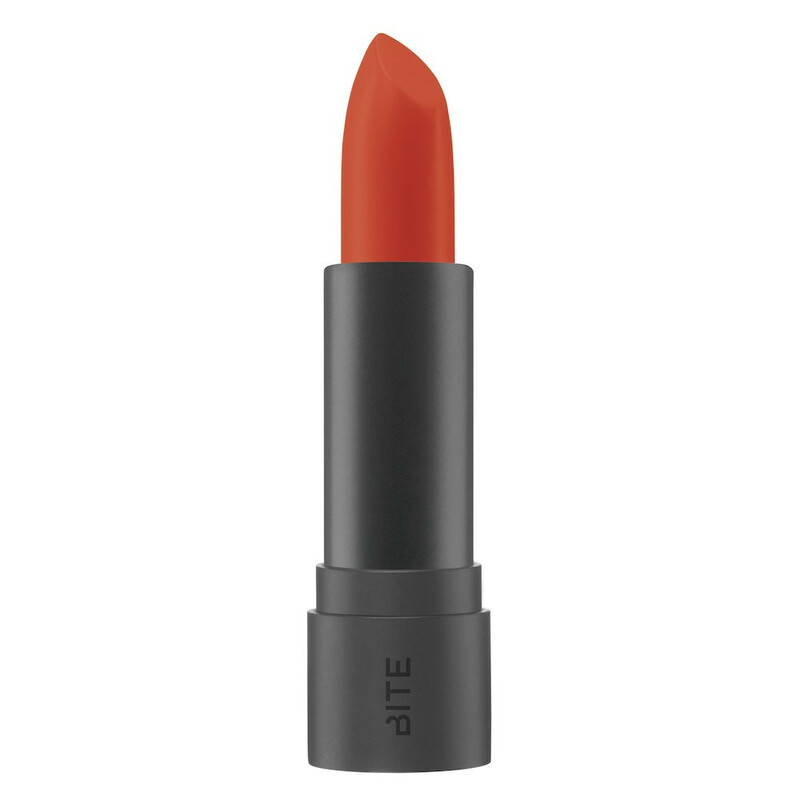 Apricot by BITE I just got this. It’s red, with a yellow undertone. Much like a tomato ripened in late August. Fresh! 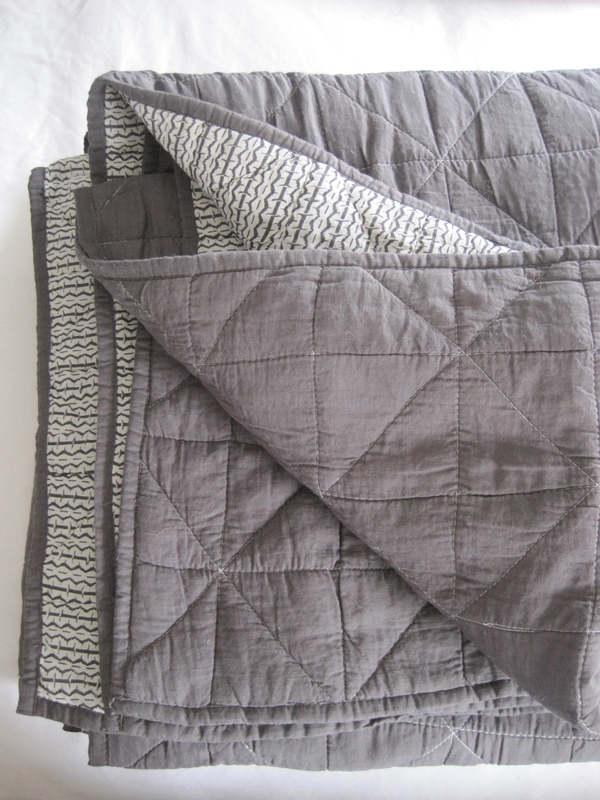 This little swipe of colour in the morning is making me feel and look less drab when I leave for work. Try it (if you haven’t) and tell me you don’t agree?! What have you been doing to beat the winter blues? Do share!